Huge Savings Item! Free Shipping Included! Save 15% on the Wacom Cintiq 27QHD 27 In. Creative Pen & Touch Display by Wacom at Pacs BG. MPN: K100801. Hurry! Limited time offer. Offer valid only while supplies last. Tools might transform, but artistry remains. The Wacom Cintiq 27QHD 27 In. Creative Pen & Touch Display sets a new standard in color and resolution. Tools might transform, but artistry remains. 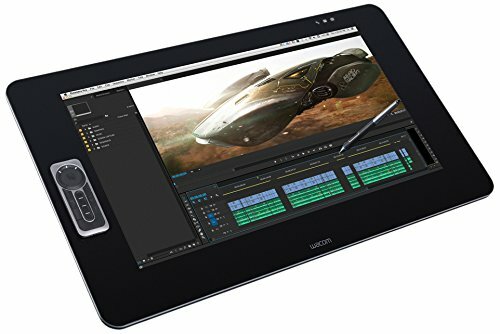 The Wacom Cintiq 27QHD 27 In. Creative Pen & Touch Display sets a new standard in color and resolution. The most natural forms of creative expression meet an advanced interface design that re-imagines the creative workflow so you don't have to adapt to the tool—the tool adapts to you. Work with hands-on fluidity as you create with a pressure-sensitive pen and multi-touch gestures directly on an expansive edge-less glass display.